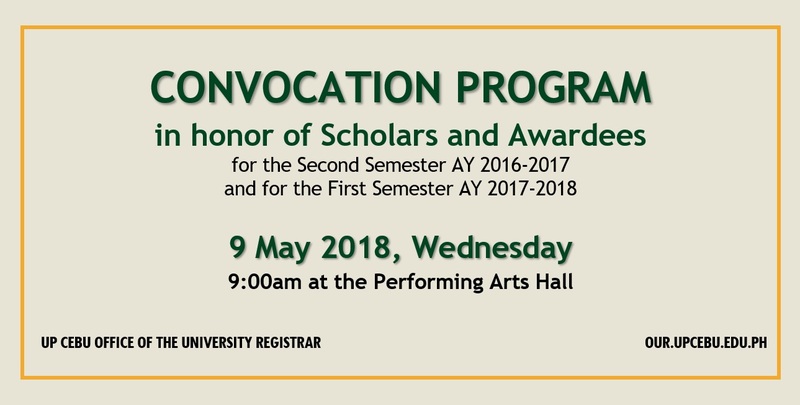 Please be informed of the Convocation Program in honor of Scholars and Awardees on 9 May 2018, Wednesday, 9:00AM, at the Performing Arts Hall. We had to move the schedule from its original date of 2 May 2018 to pave way for Centennial Activities. Our guest speaker for the event is Ms. Mary Anne J. Alcordo-Solomon, Bachelor of Business Management Class of 1983.